If you have ever planned to record a conversation, whether in person or over the phone, you should know that both federal and state laws regarding wiretapping may limit your ability to do so. Aside from exposing you to the legal risk of being criminally prosecuted, you could also be sued by the injured party in civil court for monetary damages. From a legal point of view, the most important issue to look at when it comes to recording conversations is whether or not the person recording is required to obtain consent from one or all of the parties of the conversation or phone call before making a recording. Federal law and several state wiretapping laws allow recording if one party - including the person who is doing the recording - consents. Still, other states in the country mandate that all parties involved in the communication consent to the recording of the conversation. Which law applies to a communication, however, is not always so clear; this is particularly true when the conversation happens through a phone call and the parties involved in the call are in different states. In such a scenario it is difficult to initially determine whether federal or state law applies and, if state law does, which one or more governs. In such a situation, it is best to obtain consent from all parties prior to recording the conversation. Of course, if the parties are in the same state, then it is easier to rely on the applicable wiretapping laws of that state. Depending on the particular laws of that state, this may require consent from only one or all parties to the conversation. Under federal law, telephone calls and in-person conversations may be recorded when there is consent of one or more parties to the conversation. This can be found at Sec. 18 U.S.C. 2511(2)(d). Referred to as one-party consent, this federal law allows someone to record part or all of a phone call or conversation as long as he or she is part of that communication. Even if the person recording the call is not part of the conversation, the one-party consent federal allow still permits the conversation to be recorded if the source consents and has full knowledge that the recording will take place. As of current law, 39 states permit the recording of a conversation as long as there is one-party consent. Other states, however, require consent from all parties in order to legally record a conversation. These states include: California, Connecticut, Delaware, Florida, Maryland, Massachusetts, New Hampshire, Pennsylvania, Vermont, Washington, and Illinois. Extraneous circumstances exist making a court order impracticable, one party or more consents, and a court order is sought right after the recording. The conversation is a public and not a private one. For a more in-depth discussion of the topic, see our other blog article here. 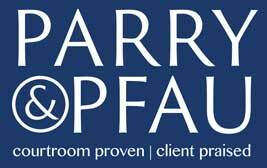 At Parry & Pfau, our skilled Las Vegas attorneys can answer any legal questions you might have. Give us a call today. Newer PostIs Lane-Splitting Legal in Nevada?